Are you a freelancer or independent contractor? Depending on how much work you’ve done, you could be receiving a 1099 form down the road. 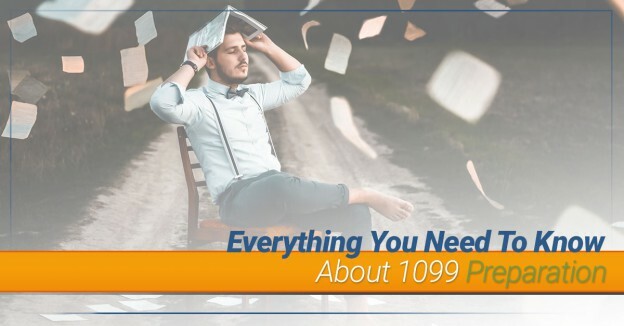 But what exactly is a 1099 and why is it important? Let’s take a closer look at these forms. Just because you’re a freelancer or independent contractor doesn’t mean you’re exempt from tax implications. 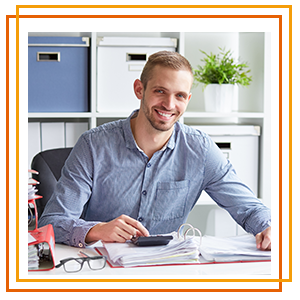 Basically, 1099 forms report to the Internal Revenue Service how much a company has paid you in the last tax year as a “non-employee.” Think of this documentation as an alternative to W-2 forms, which organizations use to declare income for employees. We are often asked what specifically defines an independent contractor. Here’s the thing: you become eligible for a 1099 when you work and perform services for a company as opposed to being a direct employee. For the most part, an independent contractor can dictate their schedule, choosing when and how often they want to work. Did you recently sign up to be a driver for a ride-sharing company? Are you doing freelance design work for a friend’s business? In both of these scenarios, you would qualify as an independent contractor and, consequently, would be eligible for a 1099. Here’s where things get a bit dicey. If a company has paid a freelancer less than $600 over the course of a year, there’s no need to send the independent contractor a 1099. However, the freelancer must still account for the income when doing their taxes. QuickBooks explains the importance of having correct information on your contractors. Ideally, you should have already filled out a W-9 for each freelancer, which includes their name, address, and Social Security number. Don’t be afraid to ask your independent contractors if any of their information has changed. So what happens if a contractor fails to provide a W-9 or left out pieces of information? According to the IRS, you are allowed to withhold 28 percent of their pay. This is what’s known as “backup withholding” in the tax world. Now you’re ready to obtain those 1099s and get started. One mistake to avoid here is using a downloaded form or even a sample from the IRS. Instead, you must use forms that are readable by the IRS scanner that process 1099s. Maybe you’re thinking, “This sounds like more of a hassle than anything else.” Here at OnlineFileTaxes.com, we agree that obtaining 1099 forms can be complicated. We’ll circle back to this idea later in the post. The last piece is filling in the contact information forms. As aforementioned, manually filling out 1099s can take up a good chunk of time. That’s why we recommend using an e-file provider such as OnlineFileTaxes.com. After spending precious hours (or days) filling out 1099s, you’re ready to send them out and get back to running your business. The deadline for mailing or handing copies to independent contractors is February 1. Should you fail to meet this deadline, you could face some hefty IRS penalty fees. Copy C is meant to be kept for your records. While you may not want additional paperwork in your office, it’s essential to have these records available in case there are questions. The last thing you want is to be contacted by the IRS regarding a contractor’s 1099 and not have your own copy of the form. 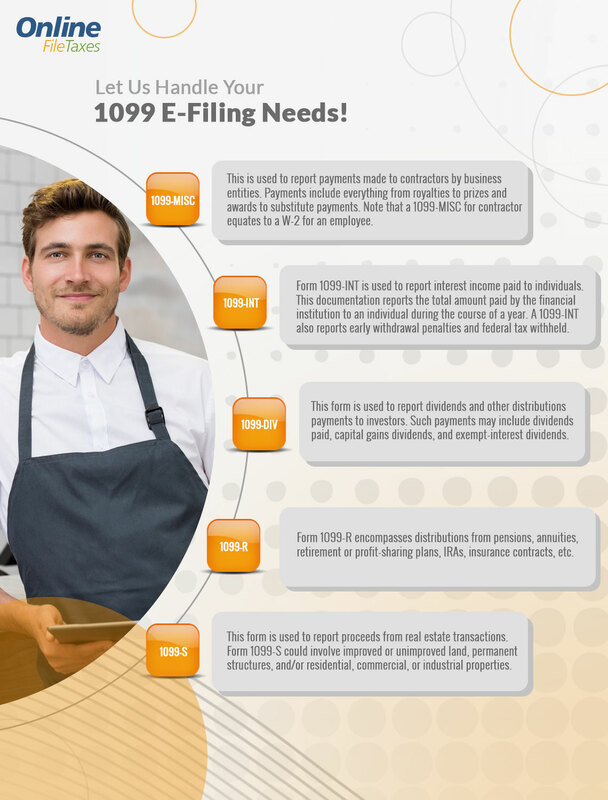 Whether you’re a business owner, CPA, accounting professional, or an independent contractor, chances are you’ve thought about e-filing 1099 forms. Doing so saves time and allows you to focus more on your work. But with so many 1099 preparation services out there, how do you really know which is best for you? More people are using OnlineFileTaxes.com than ever before and it’s no secret why. With our unique, easy-to-use system, you can e-file 1099 forms in just minutes. Your files are sent to the IRS for fast, efficient, safe, and, of course, simple filing. Process any number of forms – Whether you need to process one 1099 or hundreds,onlineFileTaxes.com makes a great resource. 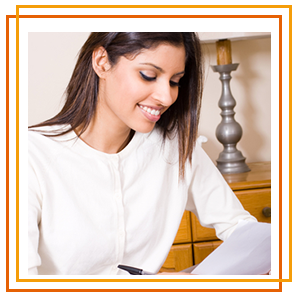 Remove the need to buy and fill out lengthy forms – Who really has the time to do this anymore? Maybe you’re a business owner and a parent. You shouldn’t have to put off valuable family time just to manually complete 1099s. Thanks to our automated filing system, you can focus less on tax documentation and more on enjoying your family. Eliminate the need to invest in any software – It might seem convenient to grab the latest tax software and call it good. However, these products can certainly be pricey. Not to mention, you have to purchase the newest version every year. With OnlineFileTaxes.com, there is no expensive software to worry about. Eliminate the administrative and IT costs associated with year-end 1099 processing – You’re a savvy business owner who watches over finances like a hawk. It’s no secret that 1099 processing can cost a pretty penny. There has to be a more affordable option, right? Well, signing up for OnlineFileTaxes.com is absolutely free. Users can print, mail, and e-file 1099s for as low as $1.25 per form. That’s quite the steal if you ask us. Print, mail, and electronically file with the IRS once you fill out your forms – At OnlineFileTaxes.com, we want your experience to be a stress-free one. That’s why we make it easy to print, mail, and electronically file with the IRS. We even print and mail recipient copies for you to keep for your records. You won’t find a more straightforward e-filing service. When it comes to filing Form 1099 online, there’s no better system than OnlineFileTaxes.com. Keep reading to learn about 1098, 1099, and W-2 forms. We touched on this documentation earlier, but it’s worth explaining a bit more. Form 1099-MISC reports commission paid during the year to an individual (usually labeled a freelancer or independent contractor) who is not an employee. We have found this specific form to be the most common 1099. This form reports interest paid during the year to an individual whom you have paid at least $600 in interest. In addition, Form 1099-INT reports specified private activity bond interest and federal income tax withheld, if applicable. Form 1099-C revolves around the cancellation of debt. It must be filed for each debtor for whom a debt owed is at least $600 if the debtor is an individual, corporation, partnership, trust, association, company, or estate. The IRS requires Form 1099-C be filed regardless of whether the debtor is required to report the debt as income. Form 1099-R reports distributions from pensions, annuities, retirement plans, and insurance contracts for each person to whom you have made a distribution or are treated as having made a distribution of $10 or more from such plans. Form 1099-S reports the sale or exchange transaction for money, indebtedness, property, or services of any ownership interest in land, permanent structures, buildings, etc. In simpler terms, this form accounts for any proceeds from real estate transactions. This form is used to report mortgage interest of at least $600 received during the year via trade or business from an individual, including a sole proprietor. Keep in mind that the $600 amount specified in Form 1098 applies separately to each mortgage. This form is used for each student enrolled and for whom a reportable transaction is made. If the insured received any sort of refund or reimbursement of qualified tuition, Form 1098-T must still be filed. Form 1098-MA provides information to the IRS, as well as homeowners, regarding mortgage payments made with funds allocated from the Housing Finance Agency Innovation Fund for the Hardest Hit Housing Markets. If you’ve never used a service for filing, now is a great time to start. 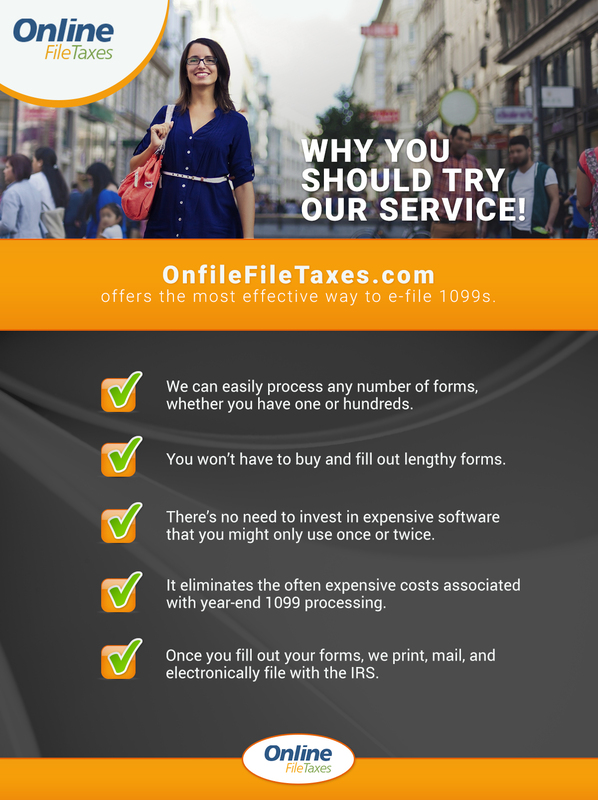 OnlineFileTaxes.com offers the most cost-effective way to e-file 1099s and other essential forms. This entry was posted in File 1099 and tagged 1099 online, 1099 preparation, copy of 1099 form, efile 1099 forms on August 8, 2018 by OFT.